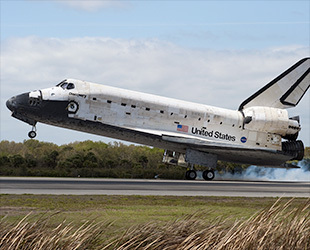 — NASA's retired space shuttle Discovery will celebrate the 30th anniversary of its first launch being admired by fans of all ages, according to the Smithsonian curator charged with its care. 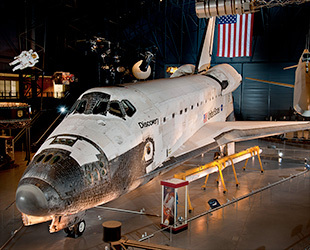 "If Discovery could talk, it would surely express happiness at seeing so many people coming to visit and saying how awesome it looks," said Valerie Neal, Discovery's curator at the National Air and Space Museum's Steven F. Udvar-Hazy Center and the author of the recently released book, "Discovery: Champion of the Space Shuttle Fleet." 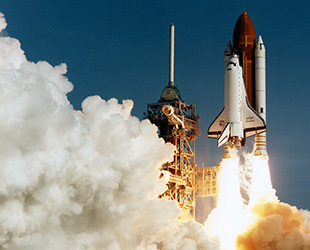 Discovery launched on the first of its 39 missions, STS-41D, on August 30, 1984. The flight logged the first week of the orbiter's ultimate total of 365 days in space (spread out over 27 years). 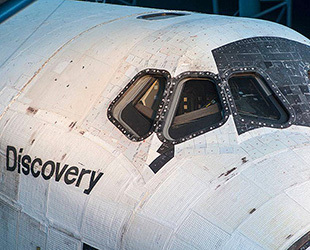 Discovery retired with the shuttle fleet in 2011 and became part of the Smithsonian's collection a year later at the Udvar-Hazy Center in northern Virginia. "Discovery might be amused at the children who hang and climb on its guard rail as if it were playground equipment," Neal described, continuing to imagine Discovery's reaction to its visitors on Saturday (Aug. 30). "It would love being in so many selfies, because EVERYBODY takes a picture standing beside Discovery." "It would enjoy watching its final launch replayed on the large screen nearby. And it would love seeing some of the astronauts who come back to give talks or bring friends to see their 'own' spacecraft," she said. For her part, Neal commemorated Discovery's anniversary by taking part in an AMA, an "Ask Me Anything" question and answer forum, on the Reddit website. "One cool feature that is barely noticeable," Neal wrote in response to a question about Discovery's tires, "after we elevated the orbiter, the technicians rotated the wheels to line up the scuff marks from final touchdown." "If you walk behind Discovery and look closely, you can see them aligned on the four main landing gear tires," she revealed. Discovery arrived in Neal's and the museum's care in April 2012 in as close to its flown state as was safely possible. "Discovery is still in working condition, because we don't interfere with or disable such equipment, [though] we don't have the means to power it up, turn on its systems, run its software, etc. It is idle and inert, but all the avionics and computers and environmental control, and other systems are on board and untouched," Neal said. 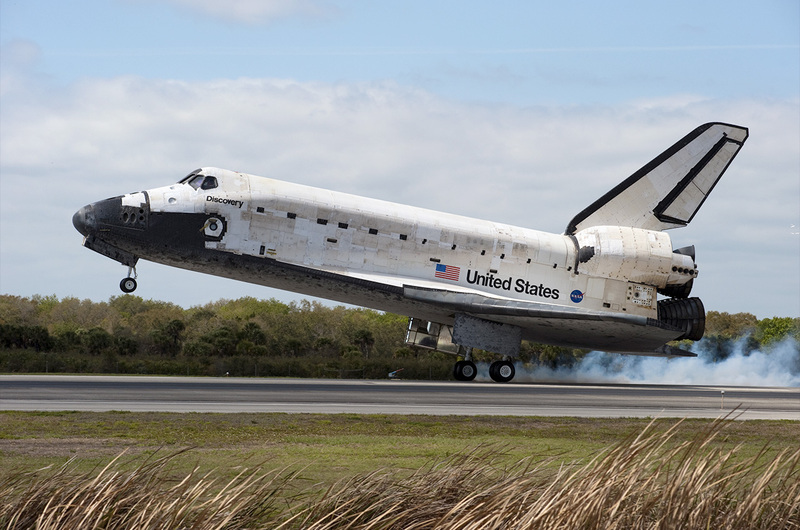 "NASA did remove hazardous components before delivery and kept the [three] main engines for possible reuse, so the propulsion systems are basically gone, but otherwise Discovery is intact as last flown and will remain that way," she explained. 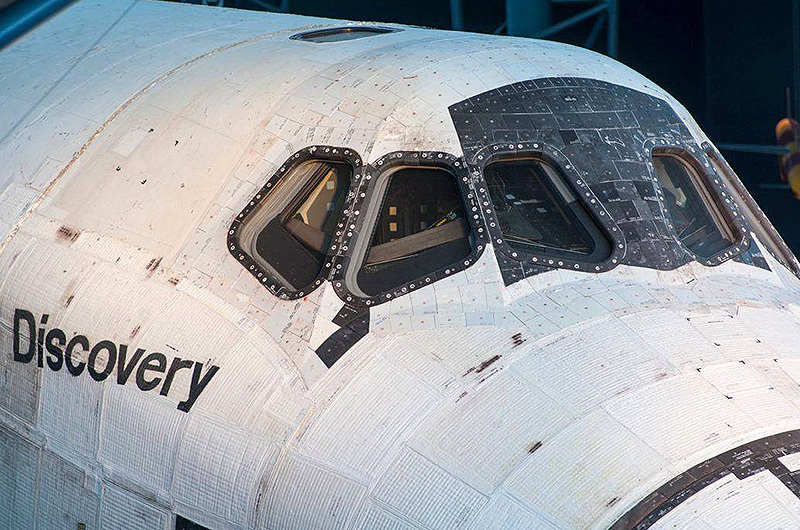 As a reusable vehicle, Discovery was serviced between missions and its components were repaired, replaced and upgraded over the course of its three decades in service. Still, it has parts that can be traced back to its first launch 30 years ago. "One of the USA [United Space Alliance] engineers did a rough count and estimated that about 18,000 original tiles are still on the vehicle," Neal wrote, referring to the 24,000 heatshield tiles that line Discovery's underbelly and part of its upper services. Four of those tiles are a "birthmark" unique to Discovery. "One fact about Discovery that's not widely noticed or well explained is [Discovery's] unusual tile configuration around its forward windows," Neal stated. "You will notice a single black tile under window no. 2 (port) and a set of four black tiles under window 5 (starboard)." "They look like teardrops," Neal wrote. "The other orbiters have white tiles there. It's unclear whether those tiles were intended to be black or were a harmless mistake, [but] whatever the origin, the tiles are distinctive to Discovery." 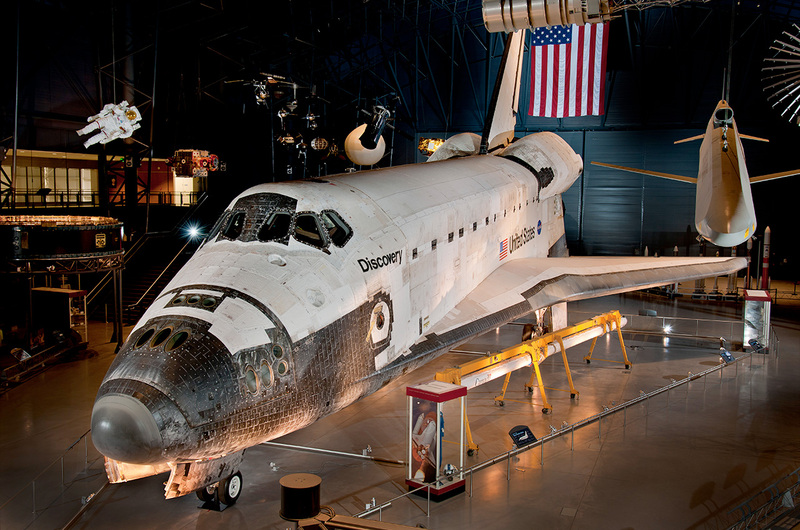 The Smithsonian's Udvar-Hazy Center will be open to the public on Saturday, as normal, for those who want to see Discovery on its anniversary. 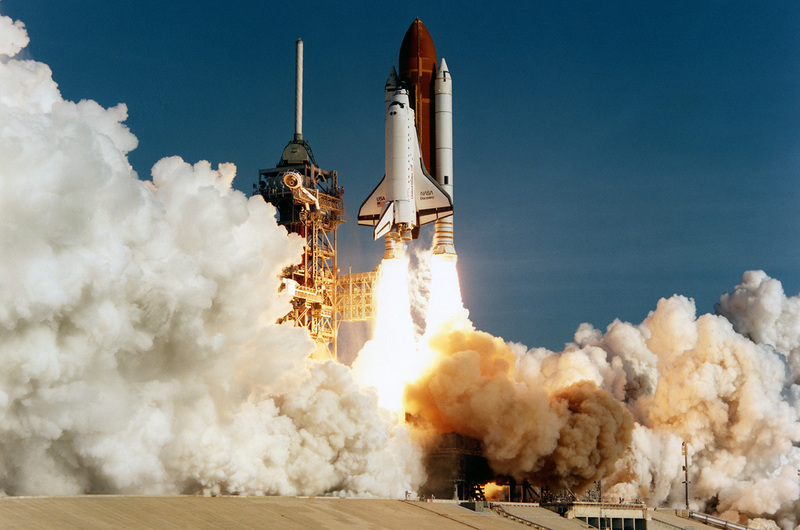 The museum will also hold a special screening of "The Dream is Alive," the first IMAX movie to be shot in space, which was partially filmed on Discovery's STS-41D maiden mission. To read more about space shuttle Discovery's history, see Valerie Neal's "Discovery: Champion of the Space Shuttle Fleet " from Zenith Press.